Chronic pelvic pain, a complex condition defined by non-malignant pain of the pelvic musculature or viscera often with associated hyperalgesia, is difficult to treat. The pathophysiology can be hard to delineate, as pelvic innervation involves the sympathetic, parasympathetic, and somatic nervous systems. However, dysregulated central nervous system responses to non-noxious stimuli are likely the major underlying factor. 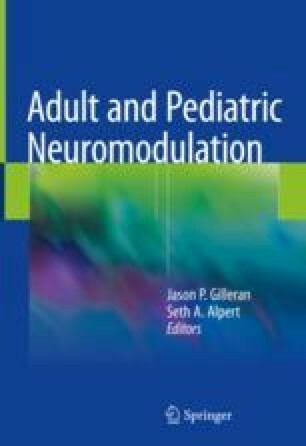 Given this proposed etiology, some clinicians offer sacral neuromodulation as part of a multimodal approach to this condition, believing that neuromodulation can restore the balance between excitatory and inhibitory impulses to and from the pelvic organs at the levels of the sacral and suprasacral spinal cord. Studies have demonstrated improvement in pain in some patients, though these are mostly small and non-randomized, making generalization difficult. Controversy remains regarding the best approach, including which pelvic nerves to target and whether bilateral stimulation offers better results than unilateral stimulation. Large-scale randomized trials with long term follow up and clearly stated, strict inclusion criteria are needed in order to more thoroughly evaluate SNS as a treatment for chronic pelvic pain. Hanno P, Burks D, Clemens J, Dmochowski R, Erickson D, et al. Diagnosis and Treatment of Interstitial Cystitis/Bladder Pain Syndrome. 2014. https://www.auanet.org/common/pdf/education/clinical-guidance/IC-Bladder-Pain-Syndrome-Revised.pdf. Accessed 11 Nov 2016. Rackley R, Vasavada S, Daneshgari F. Neuromodulation for interstitial cystitis. Cleveland Clinic Glickman Urologic Institute. 2005. https://my.clevelandclinic.org/ccf/media/files/Urology/AUA%20Abstracts%202005.pdf.